BE THE FIRST COMPANY YOUR CUSTOMERS SEE. Your customers will see your company as a "suggested term" before they ever have a chance to see your competition. Get to your customers first with Front Page. FRONT PAGE BRINGS YOU LEADS. We can get you results. You can save money on expensive pay-per-click campaigns and SEO. You will own the entire first page of search results. Every time a person types in the keyword phrase you choose, they will see you before they see any of your competition. You will be the only company listed for the keyword phrase that you choose. We never sell a keyword phrase twice. Act fast because if a keyword phrase is taken by your competition, it's gone. We never sell a keyword twice. So if you want "Denver personal injury attorney", or "Chicago dui attorney", act quick before your competition gets this advantage over you. Pick the best keyword phrases that your customers type to find you. Every time someone types in the keyword phrase in Google & Bing, they will see you. 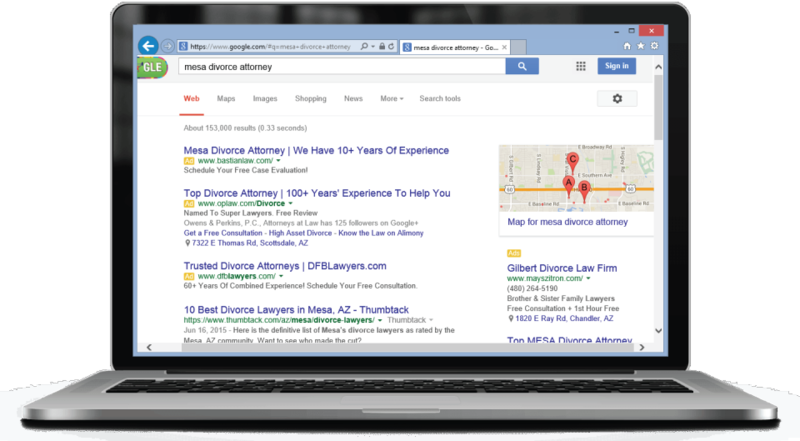 Save money on your pay-per-click campaign by having customers find you directly. Fast process. You can be getting new customers in 45 days or less with our Front Page program. GET MORE CUSTOMERS. AFFORDABLE AND EFFECTIVE. Be in front of your customers on every search. This is a unique marketing platform that none of your competitors will have. Be the first company your customers see when looking for your product or service. Gain new customers and bypass your competition. Be in front of every customer looking for you in Google & Bing. Affordable programs to meet your budget needs. Shows on all computer platforms and mobile devices. 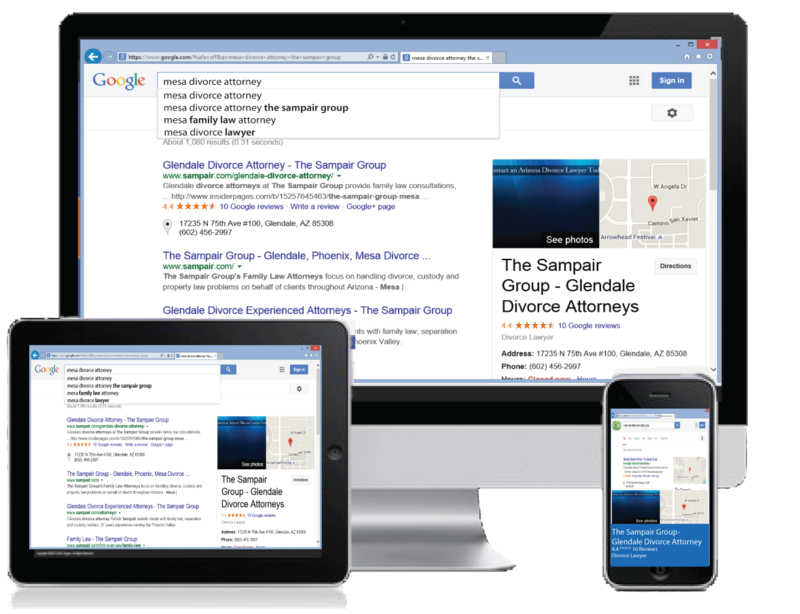 We work to make the entire first page of search results show only your company. Exclusive exposure! Our technology gives you the competitive edge, and nobody else is providing this technology like we do. The process is easy. Choose the keywords phrases that bring you customers, and we take care of the rest. You may only be interested in customers in your city, but anyone who types in your keyword phrase will see you, anywhere in the world. Our technology works on all mobile devices, so your customers can find on any their computer, tablet or phone. We make it affordable to get a competitive edge over your competition. We make this program simple & affordable so everyone can use this technology and obtain more customers. We will never sell your keyword phrase to anyone else. If you buy a keyword phrase - it's yours. Your competition will never be able to get that keyword phrase. Question: Do I have to keep paying while we wait for our business to show up in auto-complete? Answer: No. After you make your initial payment, you will not make another payment until one of your keywords is in auto-complete. Question: Will I show up on mobile searches? Answer: Yes. You will show up on any device in Google and Bing. Question: How long does it take for our company to show up in auto-complete? Answer: You typically start seeing your company in Bing within 45-60 days, and you will start seeing your company in Google within 75-120 days. WE HAVE MARKETING PROGRAMS FOR LOCAL AND NATIONAL COMPANIES. If you are a local company ready to put yourself in front or your competition, we can help you with our local front page program. Get yourself in front of the people looking for your specific areas of practice, at the moment they are searching. Let us help you implement a program to capture the best keyword phrases that your customers use to find your local business. If you are a company with offices nationwide, or who sells your services to potential clients on a national level, we can help put you in front of thousands of potential customers every month with our national front page marketing program. Let us custom design a marketing program with you, to drive in new business. We will keep you updated with reports on the progress of your campaign. Each time a keyword shows up in Google or Bing, you will be notified so you can prepare for new customers. We make it simple for you. Just let us know which keyword phrases people use the most to find you online, and we will put your company in front of all those customers. We saw the results. When our customers search for adoption services in Canada, our name shows in the auto-suggest, and customers are using this to find us. The front page program works great. We opted to get as many keyword phrases as possible so we could own the search market. We are extremely happy. They deliver the results they promise. Get started today and own the keyword phrases where customers find you the most.